Rhi is a writer and British expat who has lived in Malta for the past four years with her boyfriend. With a life that is completely unrecognisable from when she was living in the UK, Rhi says that the laid-back lifestyle and relaxing Malta atmosphere are just two of the reasons she loves this island so much. She decided to write about her experiences living in a new country to keep in contact with the folks back home, but this has grown into a world of excellent expert advice. This is why we thought we’d ask her a thing or two. We love to eat! 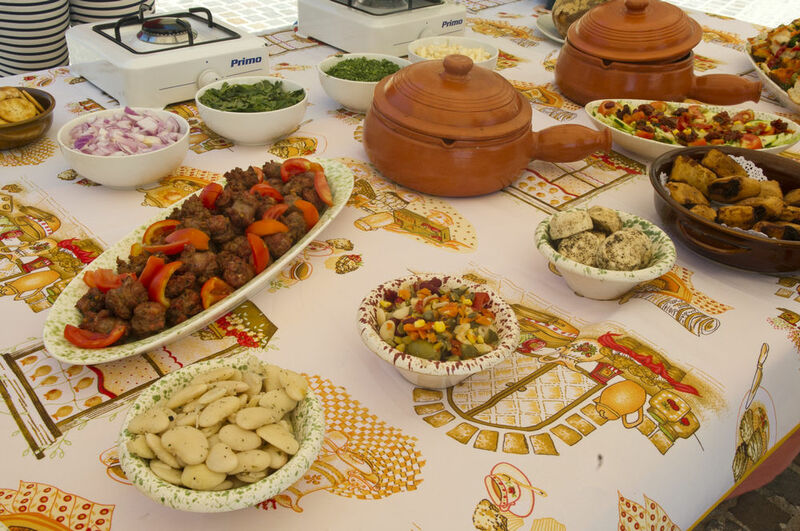 Are there any traditional Maltese foods that we just simply should not miss? Rabbit is a local specialty but I know a lot of people would find that hard to try! If you are a meat eater though it’s something you must try whilst you are here. Otherwise there are more friendly options such as pastizzi - fried pastry options, which can be found at loads of hole in the wall shops around the island. Bigilla, a type of bean dip, is delicious, lampuki, the local fish, should be tried if you can find some fresh and the national soft drink Kinnie - it’s a love or hate item! 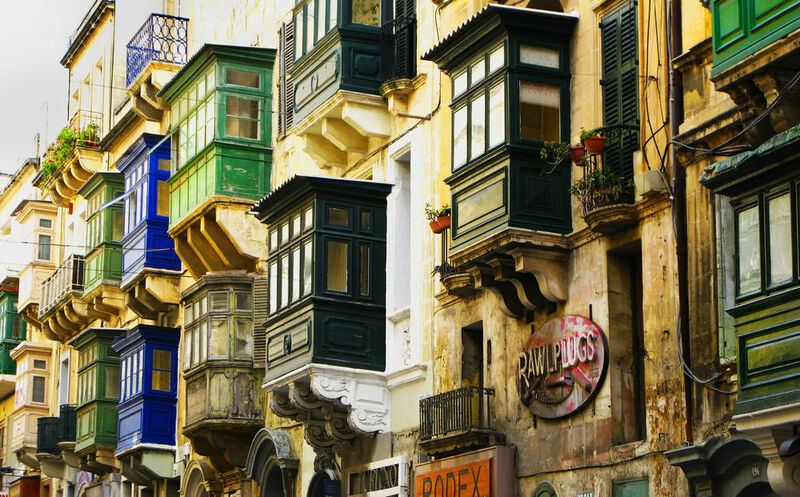 You’ve been living in Malta for a long time now, and really must have a grip on the way of life, what are your favourite things about the island? My favourite thing about living in Malta is just how laid-back life is. It’s hard to get too wound up or stressed out about anything when the weather is always enjoyable, eating and drinking out is so affordable and the sea is never far away. If I have a hard day at work I can just strip off and head for a swim to unwind and calm my mind, or have a shower and pop out for some dinner and drinks with friends to let of some steam. 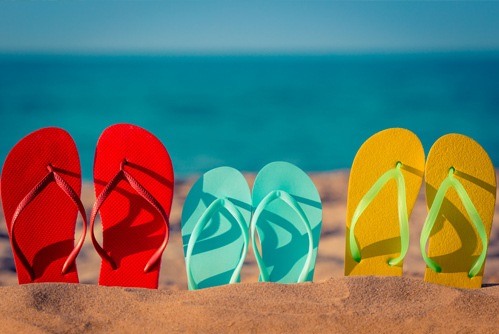 The beach is often an important part of any trip abroad, do you have any favourites? 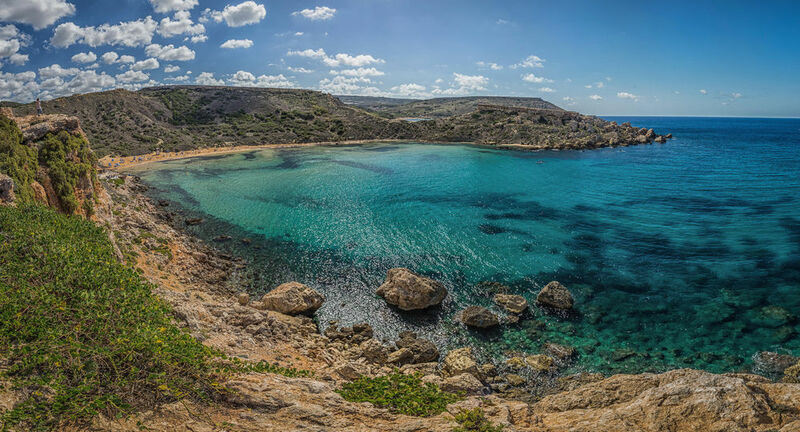 There is a common misconception about Malta that there are no nice beaches- this is not true! There are plenty of sandy beaches all around and even the flat rock ones have their own appeal. My favourite beach is Ghajn Tuffieha, which is next to the more popular Golden Bay. I like Ghajn Tuffieha, as it’s much quieter. 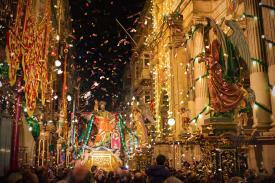 Malta is known for its festas (festivals), are there any that are real must-see events? Smaller, lesser known festivals also take place such as the Marsovin wine festival each summer. 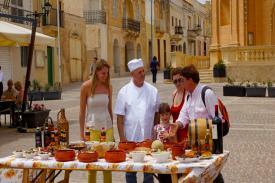 This is generally held in Valletta and is a must do. There are live bands, there is food and of course, plenty of wine. A small entrance fee gets you coupons, which you can exchange for bottles and bottles of local wines plus a branded wine glass to keep. For the second year running this year Malta also hosted a Street Art Festival, which saw loads of locals and expats come together with world renowned street artists to decorate areas of Sliema. Benches, wooden boards and designated walls are all covered in designs. 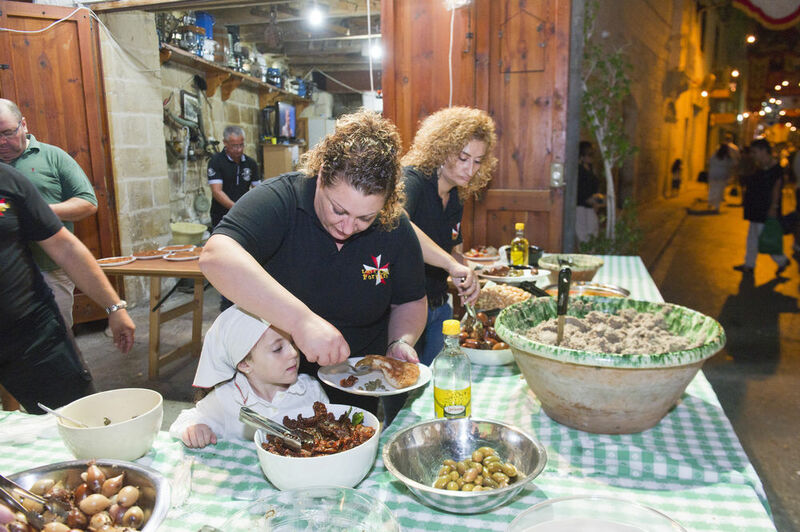 If we were going to eat with a Maltese family, what could we expect? As in most Mediterranean countries, dinner is usually pretty late. I tend to eat right after work but on the whole people eat around 8 or 9pm, maybe even later. 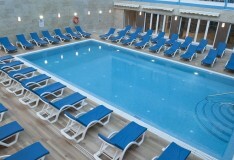 Malta is big on family values so large Maltese families would make a family affair out of this, especially on weekends! How does Maltese culture differ from the UK, is siesta still a way of life here? This has changed a lot since I first moved here. Four years ago the island all but closed down between 12noon and 4pm every day and Sundays were a complete write off. It has improved since, larger shops stay open during the day, but a few independent places still close during siesta. It’s good to note that most pharmacies also shut during 12-4pm every day and hardly any open on Sundays. If you live somewhere that only has local corner shop type stores around then they may well shut for siesta so it’s a good idea to make sure you have everything you need! It’s not somewhere I get over to often but I absolutely adore Dingli Cliffs. It’s an area around the west of the island and it’s incredibly stunning. The quiet countryside is a real change from most of the island, the cliffs are imposing but breath-taking and you can watch the sun setting directly into the sea, which never fails to give me goosebumps! 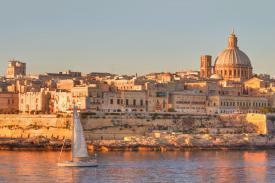 We know about a lot of the big attractions in Malta, but are there any well-kept local secret spots to visit? 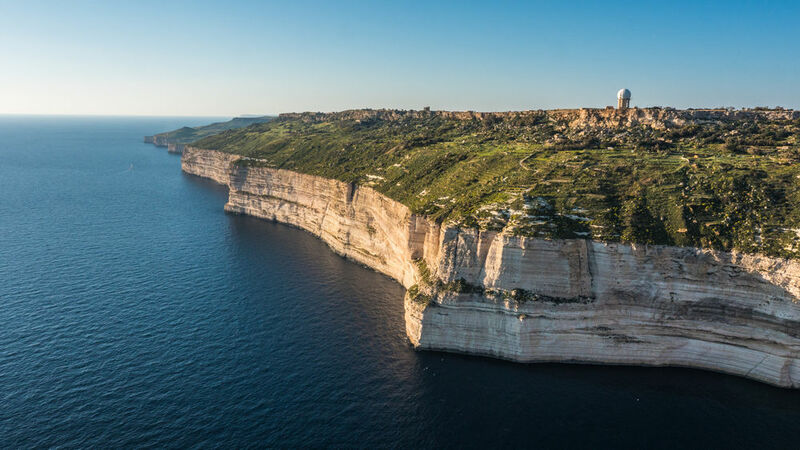 There is a lot about Malta that isn’t widely known and you have to just know someone who knows about it in order to hear of it and we’re always stumbling across amazing new places. 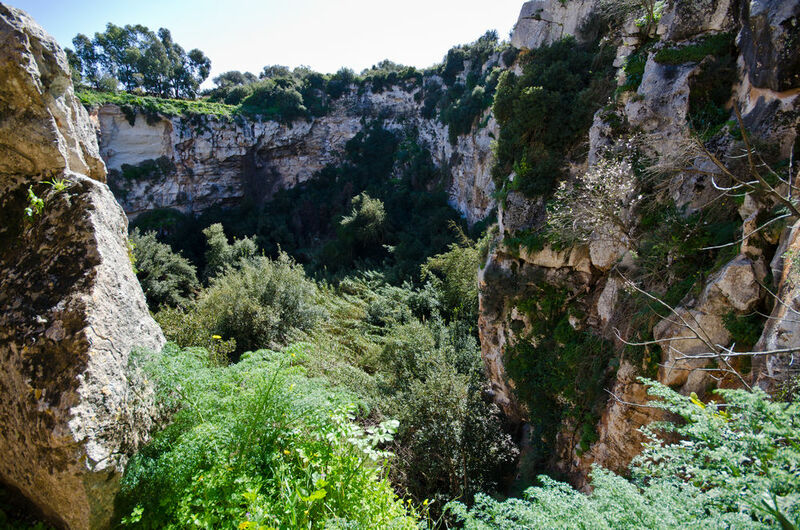 There is a sinkhole in Qrendi, which has been around since the 1300s. A fascinating and incredible eco system has grown within it resulting in wonderful scenery. It’s over flowing with plants, trees and wildlife and is worth a visit for any nature or photography lovers. 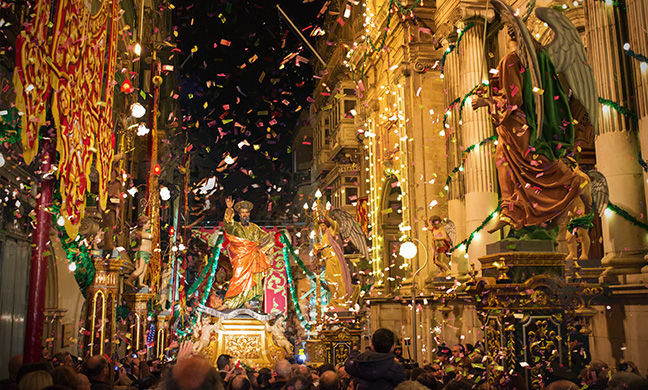 Finally, do you have any top tips for tourists visiting Malta? You’re on holiday, enjoy the island, see as much as you can and walk from place to place! 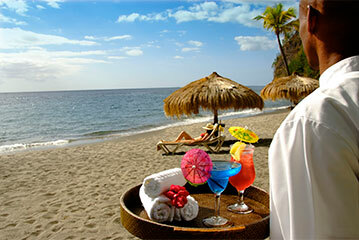 Do some research before coming and find lesser-known places to visit - beaches, restaurants and so on. 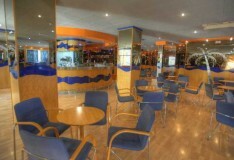 If you just stick to the tourist areas the service and quality (of anything, shops, food, drinks) will be low. Mercury Holidays would like to extend our thanks to Rhi for her hard work and participation in our Ask the Expats project.